The birds are chirping, the weather is getting warm as the summer is finally just around the corner. It's time to start thinking about what your children are going to do while they're off from school. There are many options and as a caring parent, you want your child to both have fun and enrich their education over the summer. Science summer camps are the perfect solution and STEM for Kids can help! There are many options for summer camps in Dubai, but a science summer camp allows your child to expand their mind, create, explore new ideas, experiment, make new friends, and prepare to be a step ahead of their peers in the coming school year. Your child will learn, but they won't be sitting in a classroom. They'll be opening new neural pathways as they do hands-on experiments while working in teams to solve complex problems with new ideas. Being with like-minded students will open your child to new ways of thinking that they may not experience in their typical school curriculum. They'll be coached by qualified and enthusiastic staff members to get creative and come up with innovative solutions. 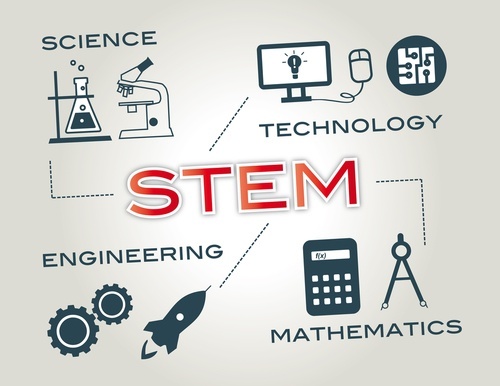 Our unique focus on STEM (science, technology, engineering and maths) will give your child a leg up in the fastest-growing industries in our economy today. Most children lose skills over the summer, but your child will be doing the exact opposite; they'll be expanding their mind and learning skills that are unavailable anywhere else. It's never too early to help your child get a step ahead. We accept children as young as 4 years old to our STEM summer camps. Your child will be learning ideas and concepts they never would be taught in an ordinary classroom- all while having the time of their life. You love your child, and you want to give them every advantage possible - do exactly that this summer by sending them to the STEM for Kids Summer Camp! We'll be announcing our Summer Camp in Dubai program shortly - please subscribe to receive our alerts.